This fencing wire netting has a 5 year guarantee. This hot dip galvanised wire mesh is easily snipped to size or shape. This garden wire fencing is suitable for pets, poultry runs, crop protection and climbing plants. This chicken wire is available in 3 mesh sizes. This garden mesh netting has a 5 year guarantee. This hot dip galvanised wire mesh is easily snipped to size or shape. This garden fencing is suitable for pets, poultry runs, crop protection and climbing plants. 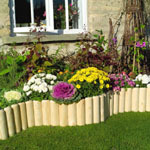 This garden fence is available in 3 mesh sizes. This galvanised garden wire netting has a 5 year guarantee. This hot dip galvanised wire mesh is easily snipped to size or shape. This fence wire is suitable for pets, poultry runs, crop protection and climbing plants. 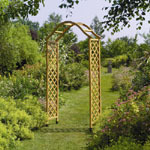 This garden wire is available in 3 mesh sizes. This galvanised garden wire netting has a 5 year guarantee. This hot dip galvanised wire mesh is easily snipped to size or shape. This fence wire is suitable for pets, poultry runs, crop protection and climbing plants. 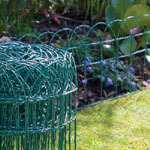 This garden wire netting is green PVC coated and has a 5 year guarantee. This wire mesh is easily snipped to size or shape. This fgarden mesh is suitable for pets, poultry runs, crop protection and climbing plants. This garden pvc wire is available in 3 mesh sizes.